76,00 € bez DPH: 63,33 € Nezdá sa vám cena? 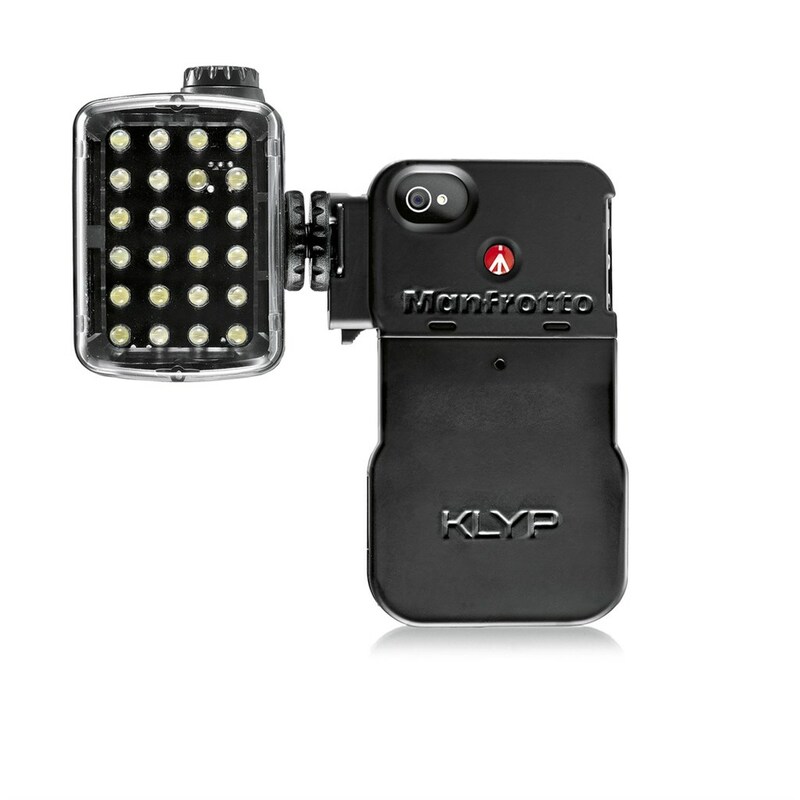 The Manfrotto KLYP case with ML240 LED light is ideal for photos and videos in low light conditions - the ML240's 24 LED lights brighten photos and video with a flattering neutral light. The KLYP case stays on your iPhone at all times, while the light, on its snap-on adaptor, can be attached quickly when you need it, or removed when you don't. Because it's small and compact, the ML240 light unit will fit in any camera- or hand-bag. 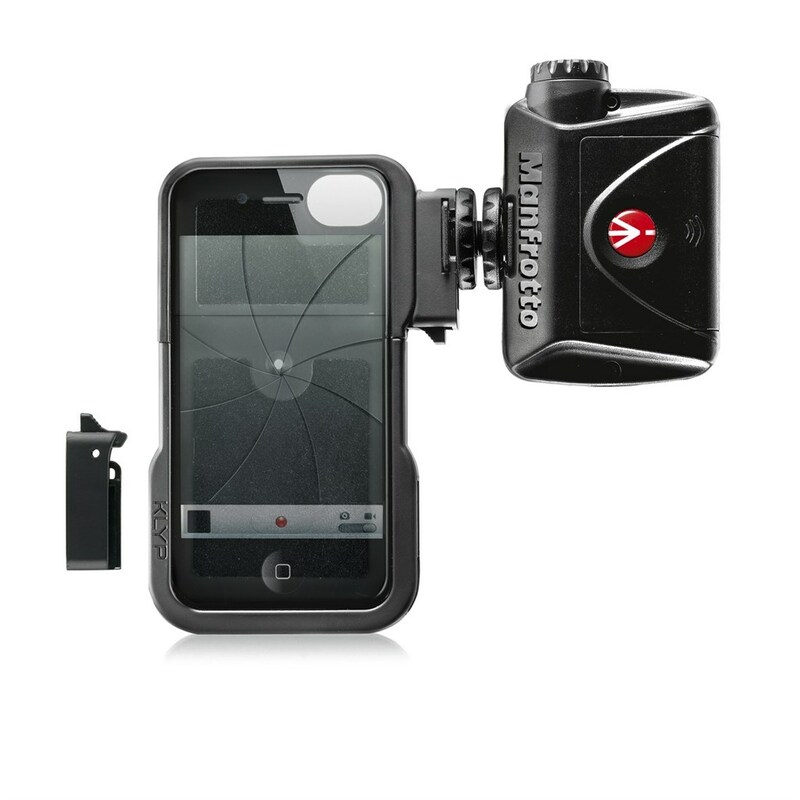 A second snap-on tripod adaptor also gives your iPhone a standard 1'''' thread like a camera, so you can attach almost any tripod or support you choose. The KLYP case also works as a standard iPhone 4/4S case, protecting the phone against damage, and with a felt lining to ensure it won't scratch your phone. Its two-part construction closes securely around the phone, and leaves all phone controls easily accessible. The KLYP case stays on your iPhone at all times, but the light can be quickly snapped on when you need it, or removed when you don't. The light is small and light enough to fit in any camera- or hand-bag. 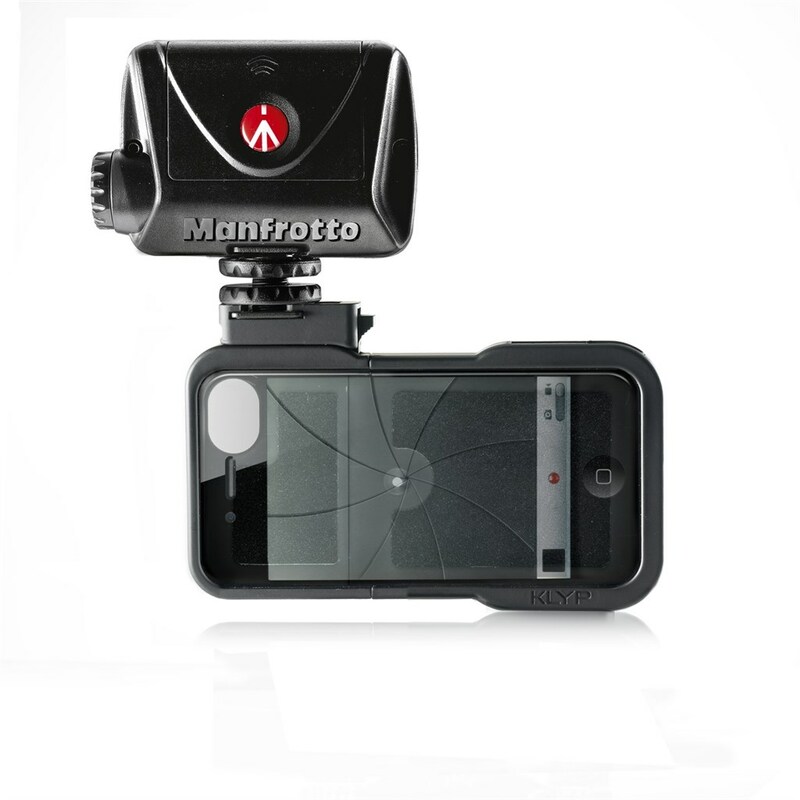 When the light is not attached, the KLYP case remains sleek, uncluttered and without protrusions, thanks to Manfrotto's unique rail system. 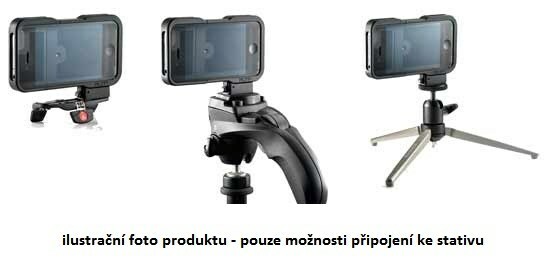 The same system allows the light and the included tripod adaptor to be attached at any of four different points around the case to allow landscape and portrait images to be taken with ease. 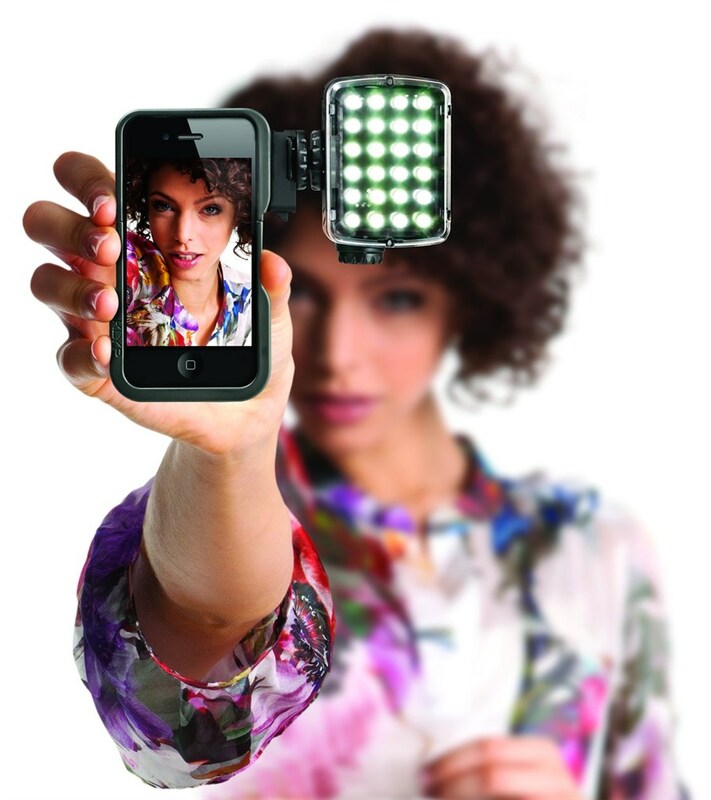 The LED light can be mounted to face either forwards or backwards, to illuminate for either iPhone camera - especially useful for FaceTime, skype, hangouts and other video chat applications. 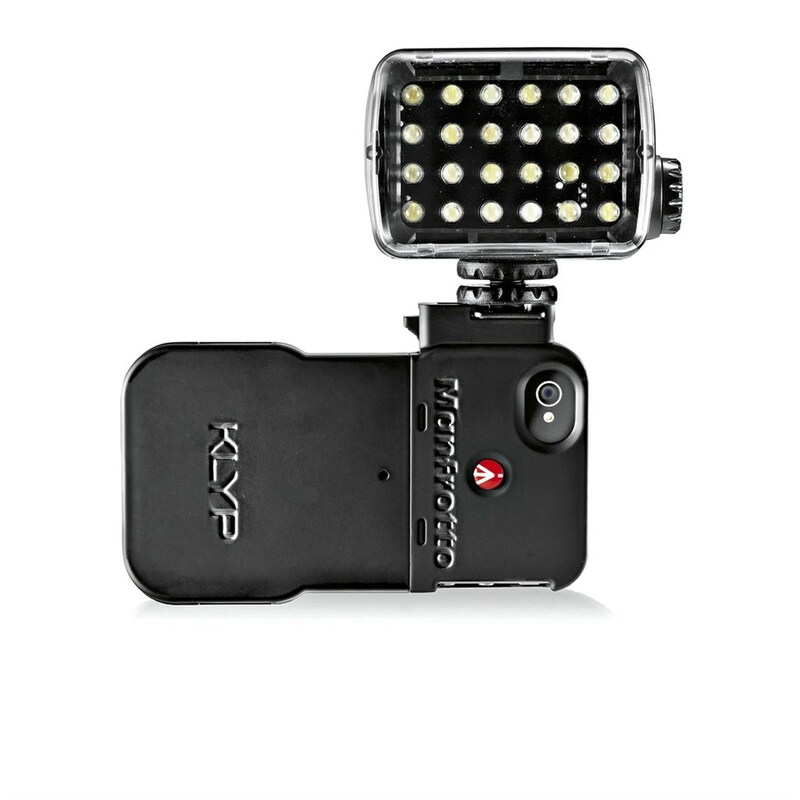 As mentioned above, the KLYP case comes with a second snap-on adaptor for a tripod or support. Both adaptors have photo industry-standard fittings (1'''' thread and flash shoe, respectively) so you can also interchange the accessories you attach to your iPhone. The KLYP case works as a standard iPhone 4/4S case: its two-part construction closes securely around the phone, protecting it against damage but leaving all phone controls easily accessible. KLYP is made of a rigid polycarbonate with a soft-touch coating giving it a silky smooth appearance, and with a felt lining to ensure it won't scratch your phone.